Federal College of Education, Osiele, Abeokuta, FCE-Osiele, FCE-Abeokuta General Lecture Time-Table for First [1st] Semester Academic Session. 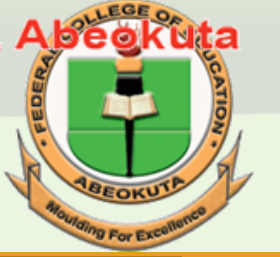 Authorities of the Federal College of Education, Osiele, Abeokuta has published the general lecture time-table for first semester 2018/2019 academic session. The FCE-Abeokuta General Lecture Time-Table has been uploaded in PDF and can be downloaded from the link here.